TWO VOTES have enabled plans for nearly 280 homes in Pagham to go ahead. The 6-4 decision, with one abstention, saw the scheme for land north of Sefter Road gain a bitterly contested approval. Arun District Council’s development control committee backed the proposal by housebuilder Taylor Wimpey – but only after a fierce display of opposition from residents and councillors. Speaker after speaker spoke about the effect the hundreds of extra cars from the housing on the 23 hectare site would have on the already busy surrounding roads. 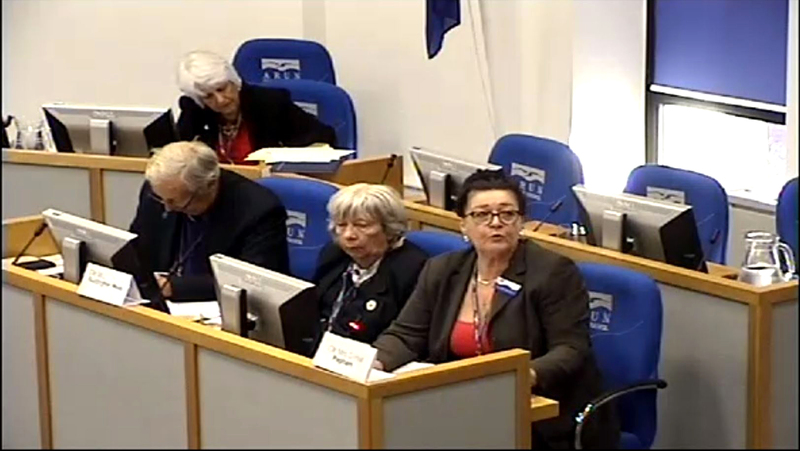 Cllr Dawn Hall (C, Pagham) said: “Everyone agrees we do need new homes but they have to be in the right place with the right infrastructure. “The access on to Sefter Road is going to be a nightmare. Sefter Road is an extremely dangerous road, getting out of Hook Lane and turning left or right. “It’s quite a fast road as well, although the speed limit is 30mph. She also spoke about the threat to the wildlife on the current farmland. Six species of rare bats were found to live there during an environmental study, she said. It was also wrong for the committee to be told every allocated site for housing in the council’s local plan must be backed. “If we are here to approve everything in the local plan, there’s really no point in having this committee. “We are here as a committee to make sure everything goes with these developments, not just the housing. We have to make sure everything is correct. Cllr Colin Oliver-Redgate (C, Ferring) said the council was being told to meet the government’s order for more homes. “This application needs to be moved to a more acceptable place in the country to appease the government’s requirement for more housing,” he said. Cllr Jim Brooks (I, Marine) said he was concerned about how sewage from the housing would be treated. He feared it would add to the current discharges into Pagham Harbour nature reserve. “I have no confidence in Southern Water’s ability to deal with this. The infrastructure needs to be in place first,” he said. Committee chairman Cllr Ricky Bower (C, East Preston) said: “I appreciate the concerns members of the Pagham have. Taylor Wimpey’s Alex Anderson said: “We understand that not everyone wants a housing estate on their doorsteps. “The site at Sefter Road is owned by Taylor Wimpey. We want to build on this site. We do more than build houses.